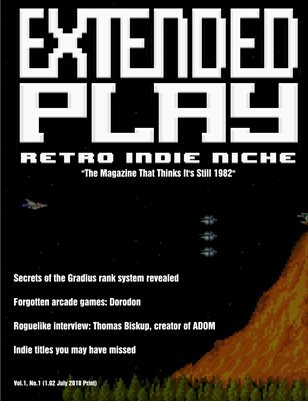 EXTENDED PLAY V1#1 Retro - Indie - Niche The old-style indie gaming magazine you should be reading! Esoteric details of classics, games you probably missed, interviews and some fun stuff too. Full color with lots of screenshots!